Alcohol and health NGOs in Europe have now protested against the lack of political will in the EU Commission to address alcohol problems within the union. This happens after several years of collaboration on alcohol policy issues through the European Alcohol and Health Forum where the alcohol industry also has been included. The withdrawal of 20 NGOs from the Forum follows a controversy over a new EU Alcohol Strategy to replace the previous one, a document which expired in 2012. 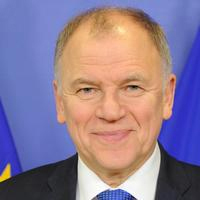 The NGOs accuse EU Commissioner Dr Andriukaitis (picture right) of ignoring calls from MEPs, EU governments and NGOs for a renewed commitment by the EU to tackle harm from alcohol in Europe. Eurocare secretary general Mariann Skar (picture below left), said to “The Parliament” in a comment to the letter, “We deeply regret the commission’s decision not to establish a new EU alcohol strategy. The EU is the heaviest drinking region in the world and with 120,000 premature deaths related to alcohol each year; we absolutely must have a comprehensive strategy to tackle alcohol harm.” Eurocare (European Alcohol Policy Alliance) represents 57 organisations across Europe and is the regional body of the Global Alcohol Policy Alliance. The letter from the 20 NGOs refer to the concerns that have been raised about the lack of evidence to indicate that voluntary commitments from the alcohol industry lead to reductions in alcohol harm. The NGOs also express the need for a formal structure available to public health bodies to discuss evidence for effective alcohol policy in the absence of vested interest groups. The web magazine “The Parliament” describes the NGO move as follows: An influential coalition of public health NGOs have dramatically quit the EU's flagship stakeholder platform on alcohol in protest over what they see as a lack of European commission initiatives to tackle alcohol related harm. Nina Renshaw, secretary general of the European Public Health Association commented, "The commission has finally admitted what the health community has long suspected - that they have abandoned alcohol policy altogether." Renshaw also told “The Parliament” that, "In return for some self-defined voluntary actions under the forum, the drinks lobby has fended off much needed legislative action and our health will continue to suffer. The promises that the industry commitments in the forum would deliver better health have proved empty. Among organisations having signed the letter of resignation are the Standing Committee of European Doctors (CPME), European Cancer Leagues (ECL); European Medical Students' Association (EMSA); Institute of Alcohol Studies (IAS), UK; Royal College of Physicians London, UK (RCP); Alcohol Action Ireland and the German Centre for Addiction (DHS).